Hi Glamsies! I have a book for you today and I must say that it is a GOOD one! Ladies Get your pens, markers, and highlighters ready....you will need them! 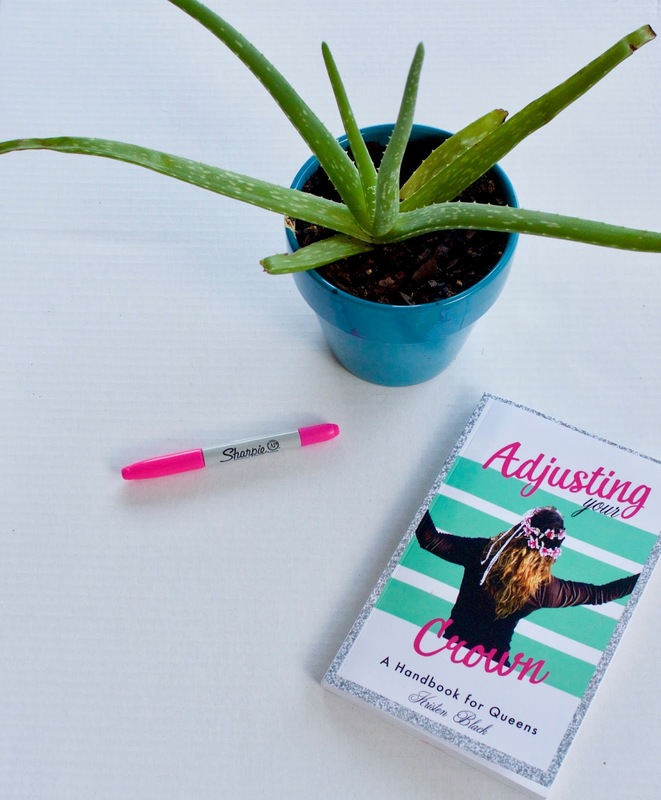 So this book is titled "Adjusting Your Crown" A Handbook for Queens by Kristen Black. This is definitely a handbook that you'll want to keep nearby on your desk, bookshelf, or better yet in your hand bag! You will be referring back to this book throughout every stage of your life. Kristen covers career, spirituality, relationships, and more topics in the book. Also, I love that she included places to take notes, write goals, and mostly the fact that she included a "travel bucket list"! It's LIT! lol College students, single, and married women can all relate to this book. This book is for EVERY woman! This is a guide to everyday living for women and by the time you're half ways through the book, you will have already begun thinking different and adjusting that CROWN of yours! :) Lastly, she has the booked written with every topic in A-Z order. Get your hands on this handbook ladies, get one for you, your daughters, mothers, and girlfriends! I will link you all back to her website to purchase her book!